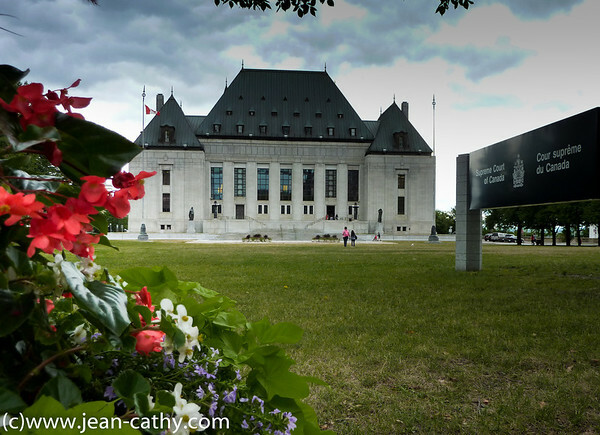 For the Ottawa portion of our trip, we booked a package called Taste of Canada that included hotel accommodations, entry to the War Museum and National Gallery, and $100 off dinner at Signatures Bistro. These were the highlights. The reason we were car-free despite this being a road trip is that we experienced a broken wheel bearing on the car while in Timmins. And in Timmins, you can’t get Audi parts. So, we booked an appointment for the car in Ottawa and dropped the car off there on arrival, after a rather noisy (and lengthy) trip. The circumstances weren’t ideal, but you don’t really need a car when being a tourist in Ottawa. Particularly as we were staying at the well-located Lord Elgin Hotel. And though we could have taken advantage of their pretty good bus system, instead, boy did we walk. To the War Museum and back. Along the canal. To Parliament Hill at night, where they were projecting images onto the House of Commons. (Very cool.) And of course, to and around the market. It’s good we were that active, because there may have been eating involved as well. The first day’s walk was in the rain, so we went to Murray Street. Last time here we’d arrived drenched; this time we were merely damp. Murray Street is very casual, with very friendly service, and has excellent food. We skipped the appetizers, though, and I had the deer fricasse while Jean had the quail. He declared his perfect, but my meat was a little dry. No complaints about the sauce and veggies, though. Or the petit syrah (CA) we drank. I also enjoyed the nanaimo dessert. For lunch the next day, we tried Play, which was new to us. It specializes in small plates, with glasses of wine suggested with each. I had the gnocchi with peas, endamame, and Parmesan, which was delicious. And the recommended Appleby Pinot. 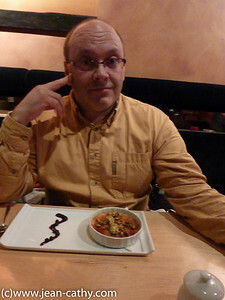 Jean had the mussels with smoked tomato and chorizo, which he also liked, though not as much as my dish. And a Sauvignon Blanc with an unusual taste. For dessert, I had lavendar creme brulee with peach conserve and maple, and a French Muscat, which was very neat tasting—not overly sweet. Jean had a cheese plate with port. For dinner that day, we tried another new one, Navarra. It specializes in the unusual. It was also remarkably small, with its 20 table packed in tight. I decided to be daring and order the bone marrow appetizer. I’m not sure what I was expecting, but it was indeed a couple large cow leg bones, from which you had to extract the marrow with a little fork. There were also olives, bread, and roasted red peppers. Everything tasted good—even the marrow, which had a mild beef taste. But frankly, it kind of freaked me out. Jean meanwhile, had ordered the lamb prosciutto. only to find it very heavy on the salad greens, which aren’t really his thing. So, we traded. I founded his Parmesan-laced salad delicious (the lamb was just so-so; I would have preferred it more crispy); and he found the marrow the best part of the whole meal. But desserts, we had no complaints about. And the service was very good. The final meal of note was at Signatures Bistro. It was our first time since it had been transformed into bistro style, and lost a star in Where to Eat in Canada. But the room still looked very grand, with white linens and all. And the food? Pretty damn amazing. Jean seemed pretty happy with his escargot appetizer and pork main, as well. And certainly his cheese plate dessert. Me, I went with chocolate ganache with ice cream. We did use our two museum entries. The National Gallery was featuring a Caravaggio exhibit that showed his influence on other painters of his time. It was interesting, seeing how different artists inspired each to take on similar themes and styles. In some cases it was difficult to tell one from the other. But on a pure art level, we weren’t totally blown away. The War Museum had a special exhibit on medicine in wartime. You kind of got a tour through the different types of injuries soldiers suffered, and how these were treated through history. (Much better now!) The whole thing was a bit gruesome, but it was the infections featured near the end that I had the most trouble with. Eew. And the very last part was on psychological injuries, like post-traumatic stress. Oy. And then we had the rest of the museum to see. We joked that we hoped it was cheerier, like “the lighter side of war”. But by comparison, it actually was. Like to explain the War of 1812, they had a film of French and English Canadian sitting together commenting on a documentary about it. Then partway through their Native friends pipes up. “Jim, when you did get here?” “Me? I’ve always been here!” I thought that was funny. 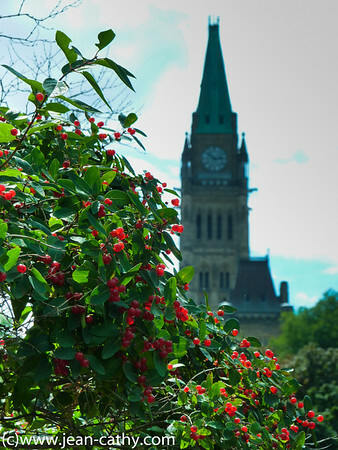 Categories: Arts, Food, Travel | Tags: Canadian arts, restaurants | Permalink.